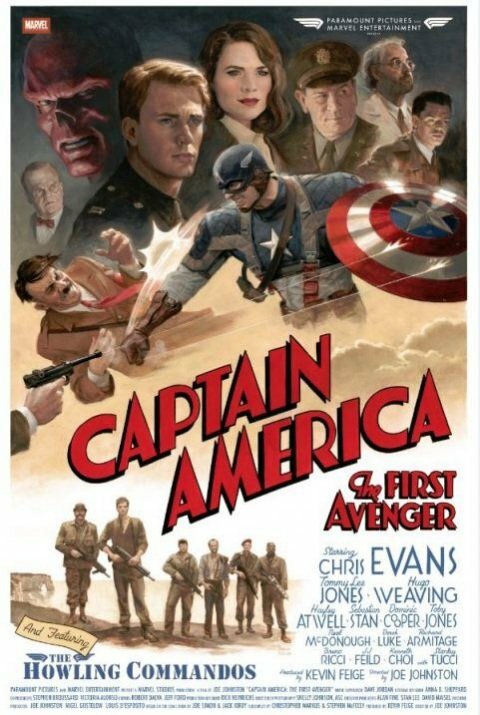 The best poster for Captain America: The First Avenger is one you won't be seeing in theaters. As part of the LA Times Hero Complex Film Festival over the weekend, Marvel Studios printed 100 copies of a vintage-inspired Cap poster to give away to the audience on hand for the Sunday Marvel presentation. 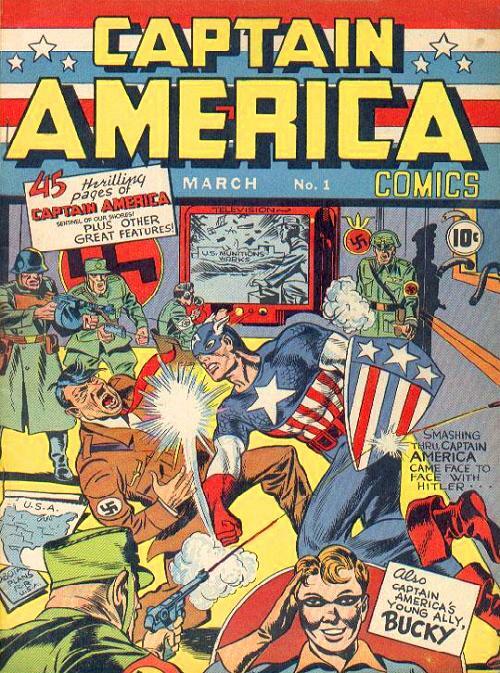 It's designed like a poster for Casablanca or an old World War II movie, and much like this classic comic book cover, features Cap punching Hitler in the face. We can only hope Chris Evans gets to do the same thing in the actual movie. Check out the poster below. That's not the only exciting Cap news out there-- there's a new trailer that screened at the Hero Complex festival that's apparently also due online next week. WIth Green Lantern opening this Friday, Captain America will have the rest of the summer free to market itself as the only superhero movie remaining, and the only one that reminds you of how righteous it is to fight Nazis. Captain America: The First Avenger opens July 22; for all the other posters, images and trailers we've seen so far, visit our Blend Film Database.